Vaccines are a touchy subject in Australia, where government officials aggressively push for total compliance with vaccination mandates by whatever means possible. There is even a “No Jab No Pay” law on the books that essentially bars citizens from receiving government welfare unless they and their children are fully vaccinated. And at the root of it all, as usual, is government collusion with big industry, including with Australia’s new prime minister — and more specifically, his wife. Malcolm Turnbull has repeatedly been exposed for his own ties to multinational corporations. He has large investments in many of them, particularly tech companies, that many say is clouding his judgment on various matters more than just a little bit. At issue with the vaccination debate is his wife Lucy’s ties to pharmaceutical companies, and how this influence is steering public policy to force Aussies to be jabbed against their will in order to function normally within society. 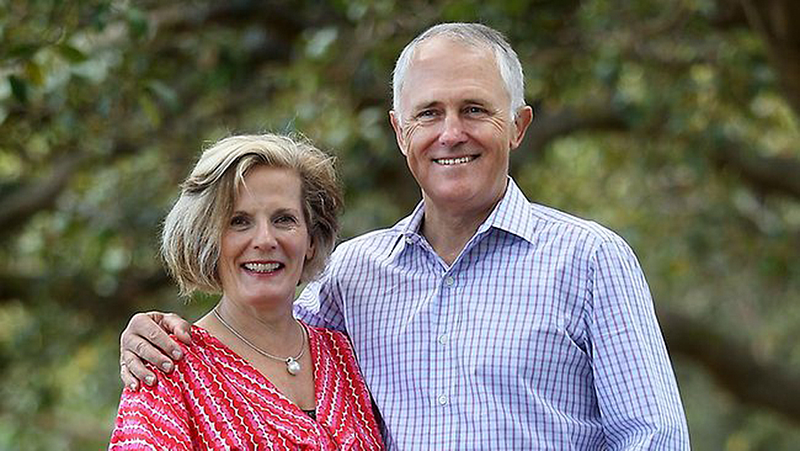 As explained by The Mind Unleashed, Lucy Turnbull is chairman of the pharmaceutical company Prima Biomed, which is currently trying to release a vaccine for cancer that it knows will generate billions of dollars in profits. Cancer, of course, is the one thing that bonds the populations of the world in solidarity of fear, so it’s expected that people will flock to the vaccine, should it ever achieve proper standards for safety and effectiveness. This is a problem because, as Mr. Turnbull admitted to the media, he and his wife “work very much as a team” to accomplish their various agendas. 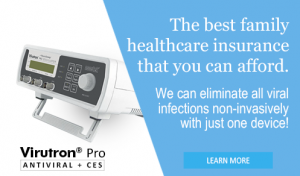 In the case of vaccinations, this means supporting legislation and mandates that require people to be vaccinated, even against their will, which has the effect of padding both pharmaceutical profits and their personal portfolios. “Australia’s politicians are deeply tied to pharmaceutical corporations, the British Monarchy, and other corporate and institutional powers which threaten the freedom and prosperity of Australian citizens,” explains The Mind Unleashed. Besides Mrs. Turnbull’s overt conflicts of interest with the pharmaceutical industry, Mr. Turnbull is mired in his own financial conflicts via his vast array of financial investments. Mr. Turnbull made millions of dollars in the mid-1990s, for instance, by investing $500,000 in a company called OzEmail, which eventually turned into a hefty dividend of $60 million. Mr. Turnbull is also deeply tied to the tobacco industry, as well as tech giants Apple, Facebook, Microsoft, and Google. In other words, the success of these industries and corporations means personal success for Mr. Turnbull, which in government-speak is the very definition of corporate fascism run amok. And yet Mr. Turnbull, despite his amassed wealth, has tried to downplay these holdings as being essentially meaningless, though they are anything but. So what Australians are now dealing with is a classic case of a couple of one-percenters with a whole lot to gain from doing favors for their industry buddies assuming political office and steering public policy towards this end. It’s a win-win for the profit-industrial complex, and a lose-lose for the general public, especially when such policies involve forcing dangerous vaccination jabs on people under duress. “In Australia it doesn’t matter whether you choose to believe in the Labor Party or Liberal Party, because they both have ties to royal hegemony, industry, and pharma,” adds The Mind Unleashed. Studies in the USA have busted vaccines. They have proved by studies that children that do not get vaccines are healther,smarter and happier than vaccined children…Is this part of the plot to for population control !!! Mercury,aluminum, mfg,chicken and pig virus does not have a place in the human body… Are you on Big Pharma payroll ??? yes mercury and thalidomide ingredients in many vaccines. flu shot has mercury in it. more ppl doing research as to ingredients and side affects especially as scientists dis overed autism caused from vaccines. is it any wonder ppl dont want their children vaccinated with toxins. Something most people are probably not aware of is that a number of vaccines are contaminated with aborted human foetal cells, and that these vaccines have been linked to childhood cancers and autism: http://www.globalresearch.ca/new-study-in-journal-of-public-health-finds-autism-and-cancer-related-to-human-fetal-dna-in-vaccines/5402912; and here’s a link to the study: ‘Impact of environmental factors on the prevalence of autistic disorder after 1979’ – http://soundchoice.org/scpiJournalPubHealthEpidem092014.pdf. The CDC Excipient table shows which vaccines contain foetal cells: https://www.cdc.gov/vaccines/pubs/pinkbook/downloads/appendices/b/excipient-table-2.pdf. Note that Fetal bovine serum is from aborted calves, and Human albumin, diploid cells, MRC-5, WI-38, and RA273 are from aborted human foetuses. Note also that Polysorbate 80 is used in a number of vaccines. This ingredient facilitates other vaccine ingredients like aluminium (a known neurotoxin) in crossing the blood-brain barrier, and has also been linked to infertility. Without prejudice …… Very very Serious Financial conflicts of interest between Political Public Seravants and Big Privately Owned Multinational Banks Big Pharmaceutical Corporations and the “Unjust” pressure placed on innocent Commonwealth Australians being dictated to by our State & Federal Governments applying underhanded manipulation upon We The People, and in some cases against THE WILL OF some COMMONWEALTH AUSTRALIAN’s ……. As most Australians are totally unaware of COMMON LAW JURISDICTION = Legal Facts, Matters and Circumstances surrounding The No Jab no Pay Racket Continues to Abuse as much as 98% of OZZIES that do not know Our Original 1901, Commonwealth Constitution ? Section 28 of the Federal Crimes Act (1914) states Loud and Clear Folks ….. “Any Person(s) / Entities who, by Violence or by Threats or Intimidation of any Kind, Hindersor Interferes with the FREE EXERCISE OF PERFORMANCE, by any other Person(s), of any Political Right or Duty, SHALL BE GUILTY of an Offence” The Penelty is up to Three (3) Years Imprisonment. This means that Government or those Acting on its behalf, CAN NOT Force you to have a Child Vaccinated in order to Maintain benefit payments . Now What ?